The original Riverside Drive’s winding path between 155th and 158th Streets is the distinguishing feature of the Audubon Park Historic District’s footprint—homage to the curvilinear drives that accommodated suburban Audubon Park’s topography before the grid pushed west of Broadway in the early twentieth century. But, the illogical winding route proved a bottleneck to traffic as soon as it opened in 1911. 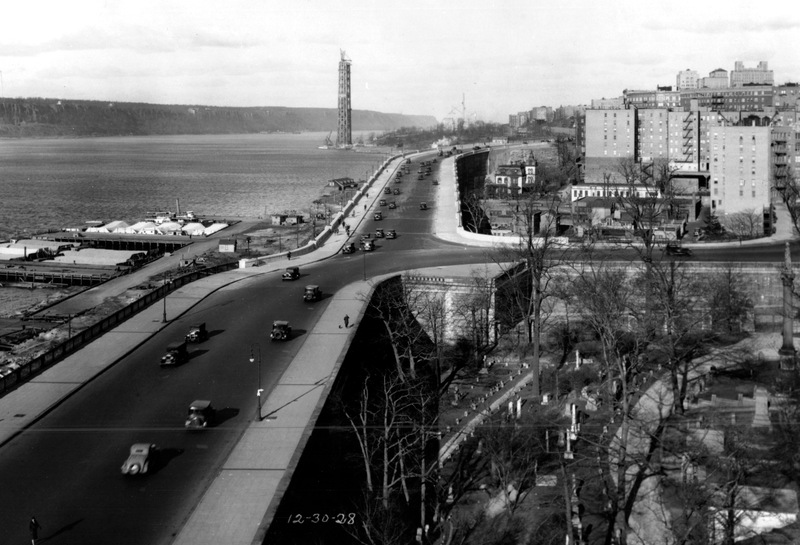 With the exception of the Grinnell family, who benefitted from frontage bearing New York City’s most prestigious address, everyone complained—drivers, pedestrians, cyclists, and especially property owners cut off on the wrong side of the forty-foot-high retaining wall that supported the Drive. By the time the city finally rectified the problem two decades later with a second Riverside Drive running straight up the Hudson from 155th Street to 162nd, the damage was done. The historic Audubon house was trapped in a dark gully and soon fell to the developer’s wrecking ball, apartment buildings sucked up the remaining vacant land, and the dual Riverside Drives became a permanent puzzle for taxi drivers. This illustrated talk traces the development of Riverside Drive and explains why is was essential for the Grinnells’ exit plan from Audubon Park, why it doomed the Audubon house to destruction, and what light it sheds on a neighborhood that disappeared a century ago.